The first question when designing your outdoor lighting system is what am I wanting to achieve? 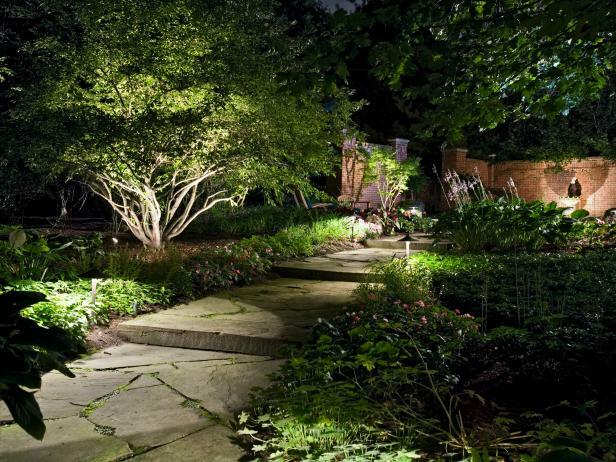 This question will determine what type of landscape lights you purchase (soft lights vs. bright lights) and where those lights will ultimately be installed. Are you looking to illuminate a path to avoid a trip hazard? Maybe you want to create ambiance in an outdoor seating area? Whatever the goal, be precise. There are plenty of options when it comes to lighting up your space. Create a quiet mood by hiding lights in shrubs to give them a soft glow or bring attention to a focal point by installing an angled fixture. Bring in amber lights to keep the landscaping muted or blue lights to give the area a moonlit ambiance. Try a string of globe lights over a central area to shine on outdoor dining spaces. Whatever your goal, we can help. If you’ve been dreaming of completing your look with landscape lighting we would love the opportunity to contribute to your design needs. Give us a call today.